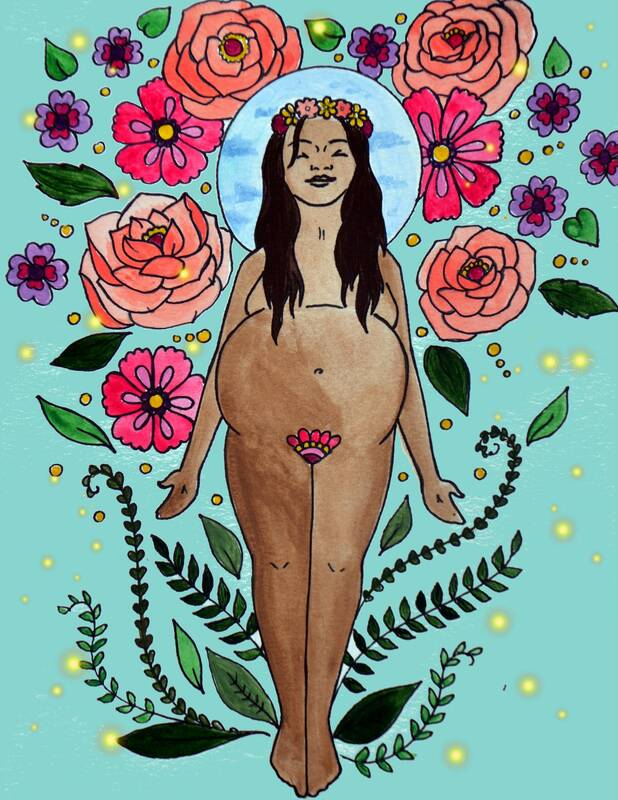 DIOSA- this colorful, flowery art print was created to celebrate the beauty and power of mamas. You will receive an 8.5" x 11" print, printed on high quality acid-free paper. Original painted by me (Catie Atkinson) in acrylic and permanent marker. Shipped in a protective mailing prevent bending. Want to order this print in a frame or looking for more prints, shirts, totes, mugs, and more? Head over to https://society6.com/spiritysol for birth art items for your home and closet. *Please Note: If you are purchasing this item from outside the US, please be aware that you may be charged an extra customs fee by your country in order to receive your package.